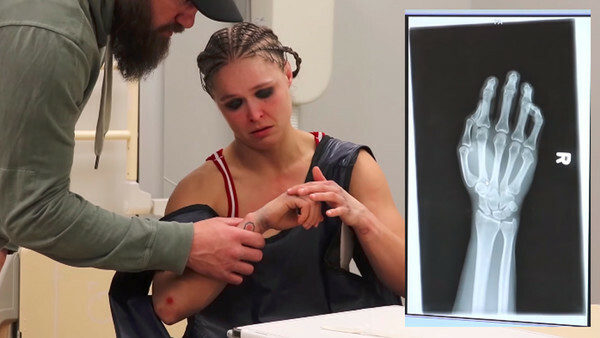 Sean Ross of Fightful has reported that recently deposed WWE Raw Women's Champion Ronda Rousey is set to undergo surgery on a broken hand this coming Tuesday. The MMA star suffered the injury during WrestleMania 35's historic main event, during which she dropped her strap to Becky Lynch. Apparently, Rousey was backstage at Monday Night Raw this past week, but only in a social capacity, as she prepares to take a sabbatical from wrestling. 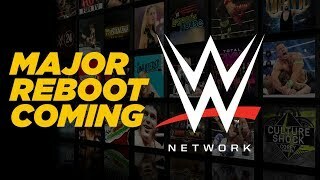 Although WWE officials are hoping that the Californian makes a return later in the year, Ronda's absence is looking indefinite - if footage from her most recent YouTube documentary are anything to go by. The latest episode of 'Ronda on the Road' captures scenes filmed around WrestleMania weekend. Before heading to the supershow, Rousey tells her camera crew that, "today is the beginning of the rest of my life." After the fact - and once we've been made privy to some gruesome medical detail on her busted fist - it's all hugs as Rousey thanks first husband Travis Browne, then her recruiter Triple H, and finally wrestling mentor Paul Heyman. It certainly seems like a goodbye. Of course, this is wrestling. And Ronda: she gets it. If she was planning to make a surprise comeback somewhere down the line, this would be the best way to misdirect that.